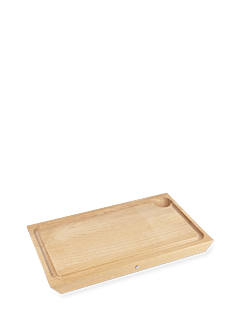 To protect kitchen supports and to avoid the fast wear of the blades of the knives, the wooden cutting board from Peugeot, design and functional, offers a touch of authenticity to the refined kitchens. Cutting Board Solid Beech Wood 29,5 cm - 11.4"
Rectangular Cutting Board Solid Beech Wood 34,5 cm -13.4"
Cutting Board Solid Beech Wood 49,5 cm - 19.3"
Peugeot reinvents the professional cutting board by offering, in a simple, practical and elegant design, a large wooden cutting board. 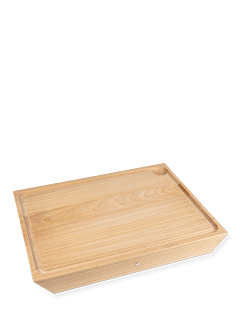 Peugeot cutting boards, Made from FSC® certified, laminated, oiled beechwood are essential instruments for daily kitchen. 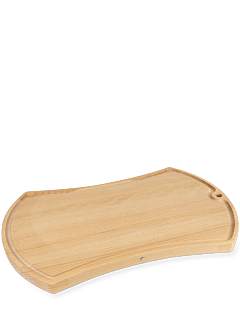 Peugeot cutting boards allow optimal preservation of the cutting edges of kitchen knives by preventing their blade from becoming blunt too quickly. The solid beech wood, very resistant wood withstands the use of time. 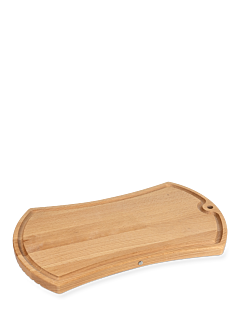 Easy to handle and maintain, ergonomic, functional and versatile, the Peugeot wooden cutting board simplifies the cutting of all ingredients to reinvent and magnify with aesthetics and ingenuity the utensils of everyday life.